On a rainy Friday in mid-September, students and spectators gathered at Samfunnet i Ås to participate in an experience unlike any other: the Låvedans or “Hoedown”, the main event of the Åsbobla or “Ås Bubble” theme week. The evening was a celebration of Norwegian culture – specifically, the art of dance – and though the weather outside may have been stormy, the atmosphere inside was full of merriment. It started with a violin. Beneath the dim lights of Aud. Max, the whispering crowd suddenly fell silent as the high-pitched strains of the lone instrument drifted from center stage and echoed across the darkened room. Next, the beatboxer appeared; and following him, the rap artist Per Skranglebein, known to many in the audience as a former contestant on the Norwegian talent show, Norske Talenter. Watching, those present waited with a sense of collective anticipation. As Skranglebein lifted the microphone to speak his first words, the beatboxer launched into a fast and furious rhythm, accompanied by the solo violinist. Moments later, three young men in traditional Norwegian outfits stepped onto the dance floor and began moving to the music. The crowd roared excitedly; this is what they had been waiting for. The FRIKAR show had begun. For those who may be new to the Norwegian cultural dance scene, the FRIKAR Dance Company specializes in performing contemporary and traditional dance in Norway. The company has toured around the world and was featured in the 2009 Euro Vision Song Contest alongside the winning act. FRIKAR is known for incorporating various styles of dance and even acrobatics into its live performances, as demonstrated on this particular evening. 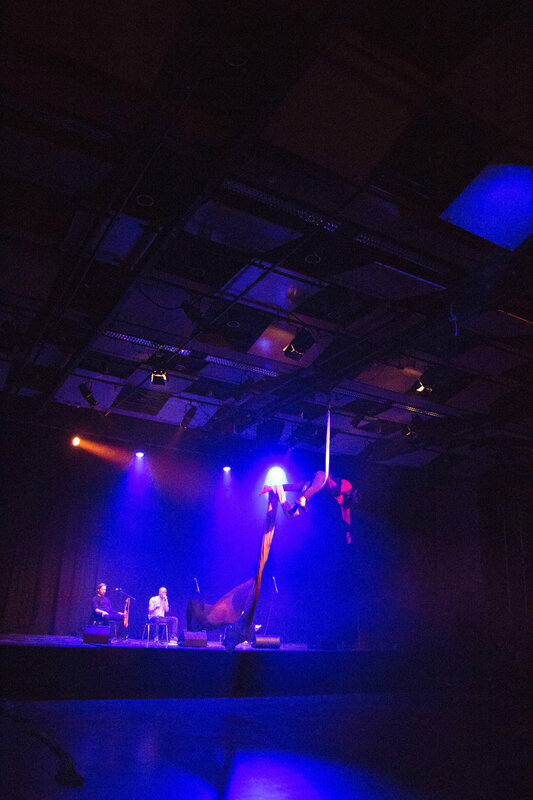 A portion of the show was dedicated to contemporary dance, where a performer used silk ropes to climb and suspend himself several meters from the floor. Spinning and twisting high above the rapt audience, the artist performed a vertical dance that fully captured one’s attention. With its serene acrobatics, this aerial demonstration was a strong contrast to the energetic tone of the rest of the night. Indeed, for the most part, tonight’s show was all about the hallingdansen – a traditional Norwegian folk dance named for the valley of Hallingdal in eastern Norway. The dance typically consists of two or three young men performing, according to the Encyclopedia Britannica, “difficult leaps, kicks, and other acrobatic stunts to demonstrate vigor and virility.” This was done with the symbolic intention of outperforming one another in order to catch a woman’s eye. One can say that these halling-dancers lived up to the hype, if the crowd’s applause was any indication. The spectators were treated to a show featuring many of the moves associated with the traditional dance. Among them was the hallingkast, where a hat is hung at the end of a long stick raised 2-3m above the ground, with the dancer supposed to leap into the air and kick the hat away. This stunt was done several times throughout the show, met with loud cheering each time. The FRIKAR performance was only the first part of the evening. 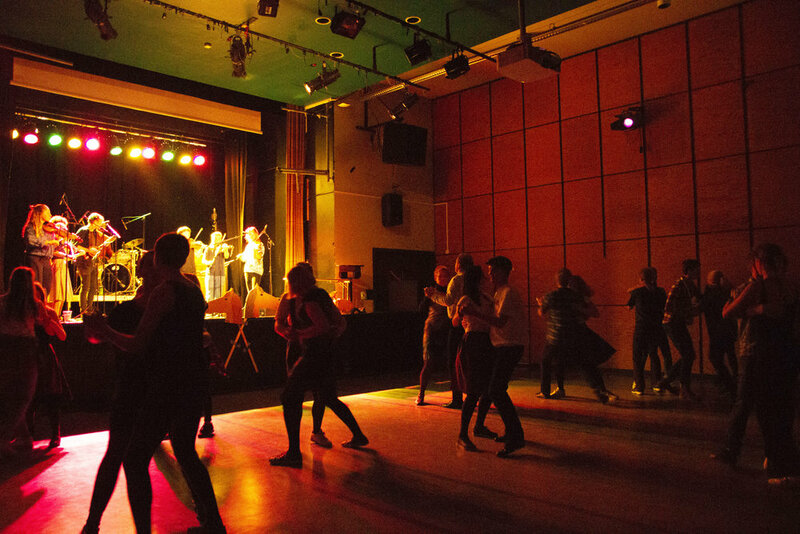 It was followed by a lively few hours of dancing in Festsalen, where students paired up and tried their hand at Norwegian traditional dances. Some had taken part in the folk dance lessons offered the week before, while others had simply shown up this evening ready to jump in and have a good time. Grooving along to the upbeat songs played live by the band Myllargutens Gammaldansorkester, the crowd was full of smiling faces as everyone practiced their best folk dancing moves. It was a fitting second half for this event. Sponsored by Landkreditt Bank and the Stiftinga for Folkemusikk og Folkedans (Council of Folk Music and Folk Dance), the evening had showcased a wide spectrum of Norwegian dance styles ranging from modern fusion to traditional folk. For this journalist, who happens to be an international student, the night was also another example of the strong sense of Norwegian cultural pride that seems to exist here at NMBU. From the various regional-based foreninger (groups or associations) to the national costumes worn by students during last month’s matriculation ceremony, many interesting things can be said about the traditions that have taken root and blossomed here in our so-called tiny “Ås bubble”. But that is perhaps a discussion for another time. For now, let us simply add dancing to the list. The style is up to you.